Back in 2002, Square and Disney released an ambitious game - a game that was a crossover between Final Fantasy characters and Disney worlds, while having its own independent story. The game was Kingdom Hearts for the PlayStation 2, and it was a huge hit. I’ve been anticipating Kingdom Hearts 3’s release since I finished Kingdom Hearts 2 in 2006. Actually, though, Kingdom Hearts 3 is the 13th game in the series - preceded by such titles as 358/2 Days (Three Five Eight Days Over Two) and Kingdom Hearts 0.2 Birth by Sleep -a fragmentary passage-. The storyline for the series is about as incomprehensible as the titles, with time travel and alternate realities and clones. To tell the truth, if you don’t already have the game, you probably won’t care about it at all. 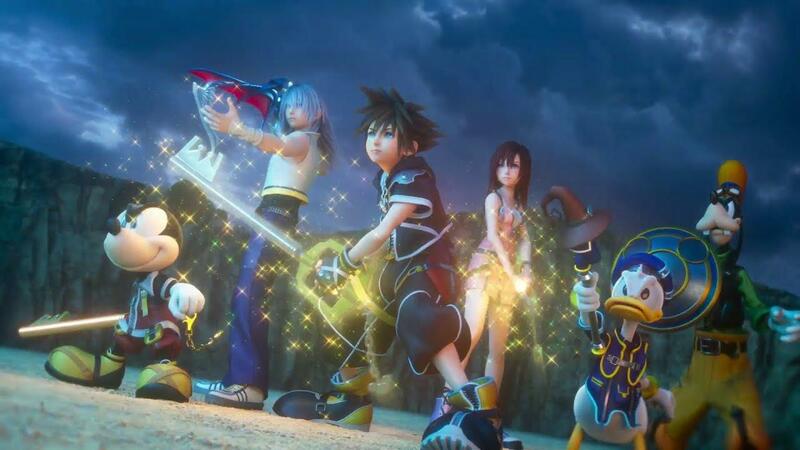 Which is a shame, because this is the most Kingdom Hearts-y game ever. Each previous game added or changed a game mechanic, and this game brings them all together. There is almost too much to do while in combat, with every flashy attack flowing into the next. One of the most striking aspects of the game is the graphics, especially on the Xbox One X and PS4 Pro. Specifically, when you’re with Buzz and Woody from Toy Story, or Rapunzel and Flynn from Tangled, the characters and environments look as good - sometimes even better - than the movies they come from. It’s remarkable, and really shows off how far we’ve come. The writing isn’t the best, but the voice acting performances are solid, led by Haley Joel Osment playing the main character, Sora, as he has since the first game. It is funny, sometimes, having characters like Goofy talk about finding a heart in the datascape, or Mickey Mouse in a black cloak threatening monsters with a sword, but that’s really what Kingdom Hearts is all about.